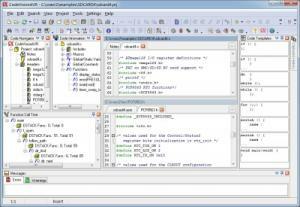 Advanced license update for CodeVisionAVR ANSI C Compiler. CodeVisionAVR Advanced Update - Advanced license update for CodeVisionAVR ANSI C compiler plus color-TFT support, LCD Vision graphic LCD font editor and custom chip configurations. This is an update for an existing advanced license and includes free technical support and updates for 1 year! After the purchase, you receive all further installation information (e.g. download link, setup password, etc.) directly from HP Infotech by email. Further information are available on the HP Infotech homepage.